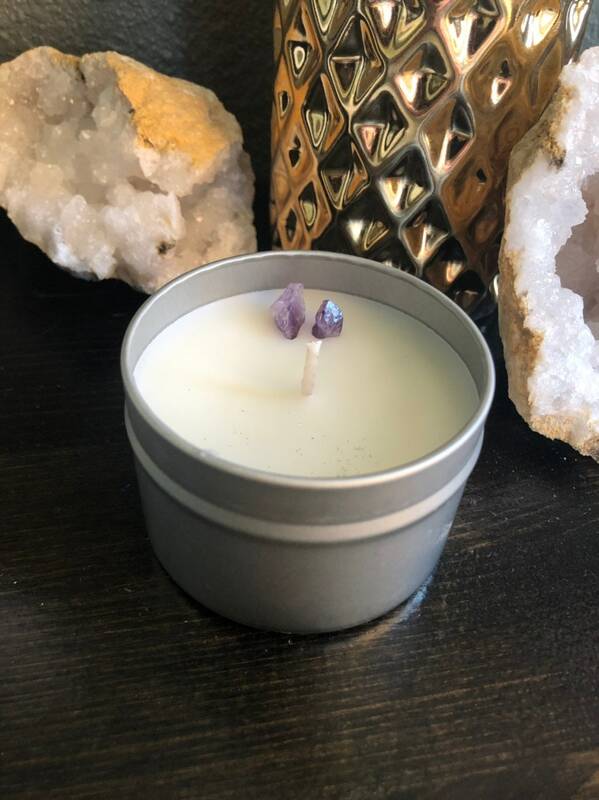 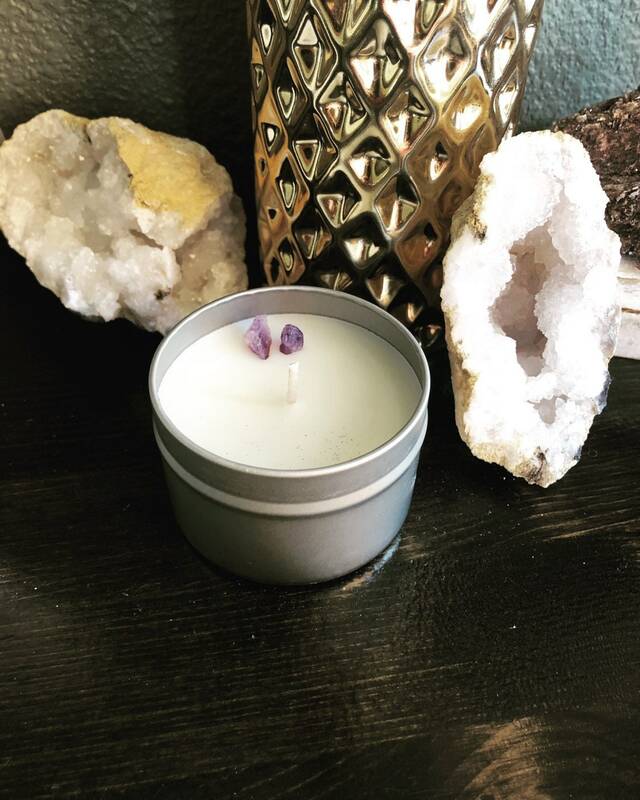 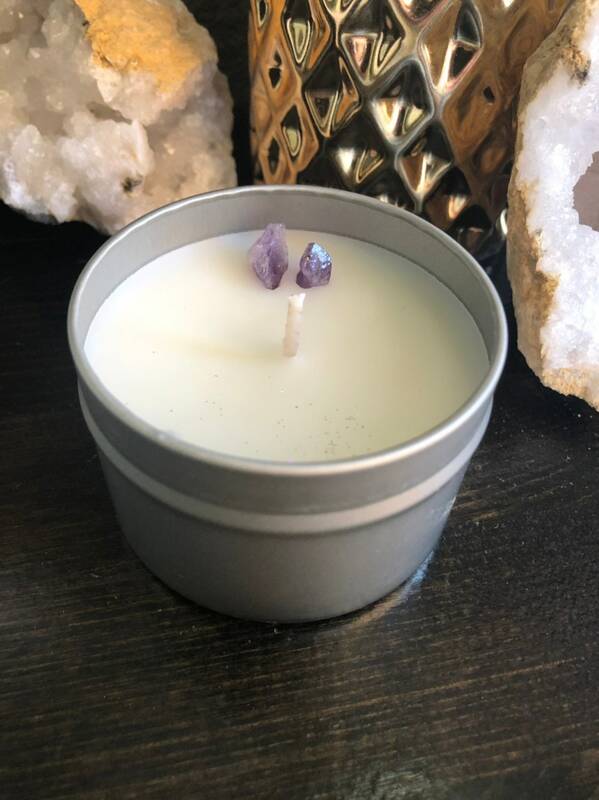 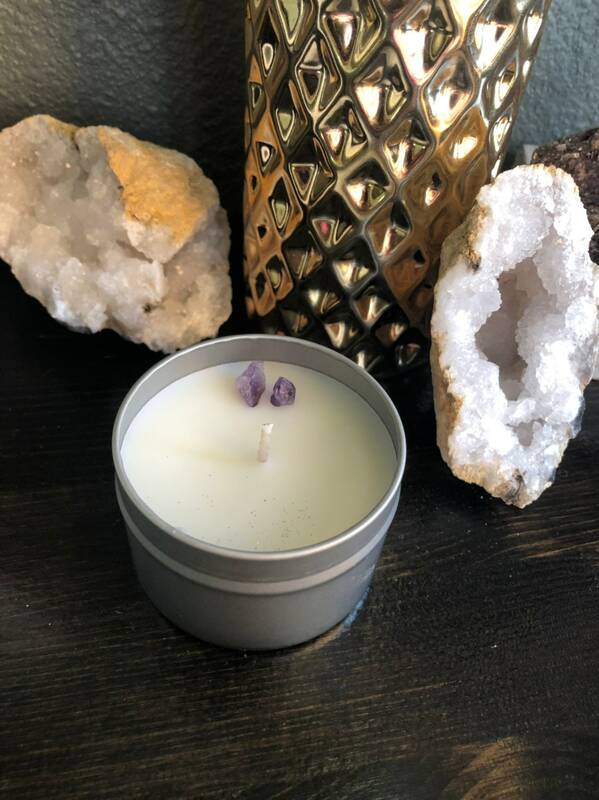 Amethyst is the birthstone for February so this candle would make the perfect gift for a February birthday or even Valentine’s Day for that special someone ! 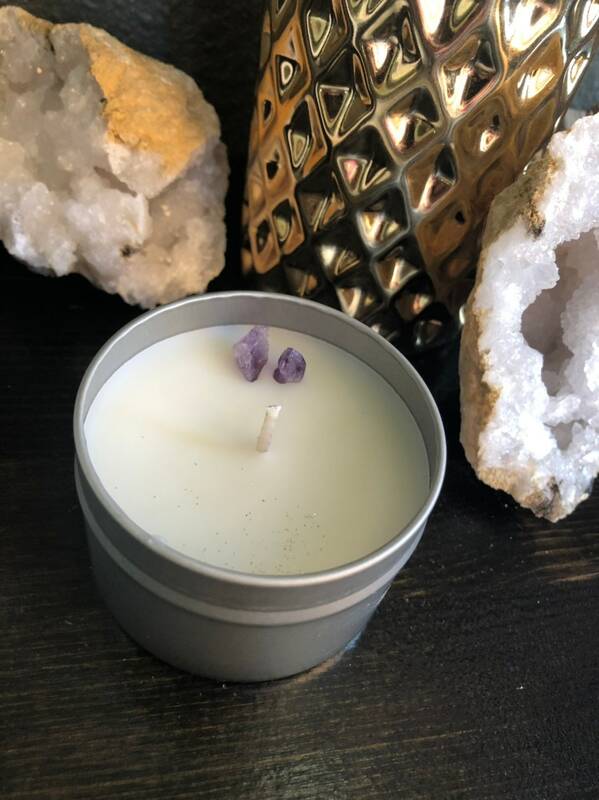 Amethyst is known to provide restful sleep and relaxation. 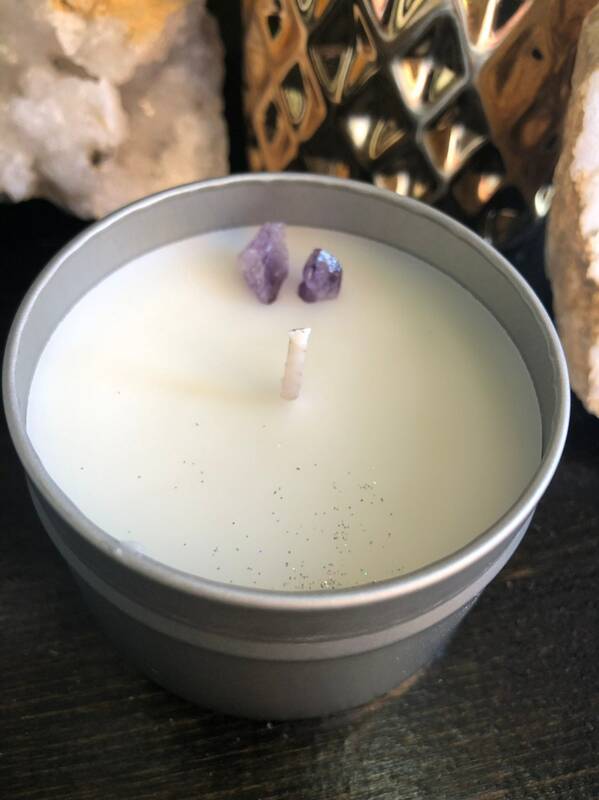 Boosts intuition and helps you tap into your higher self. 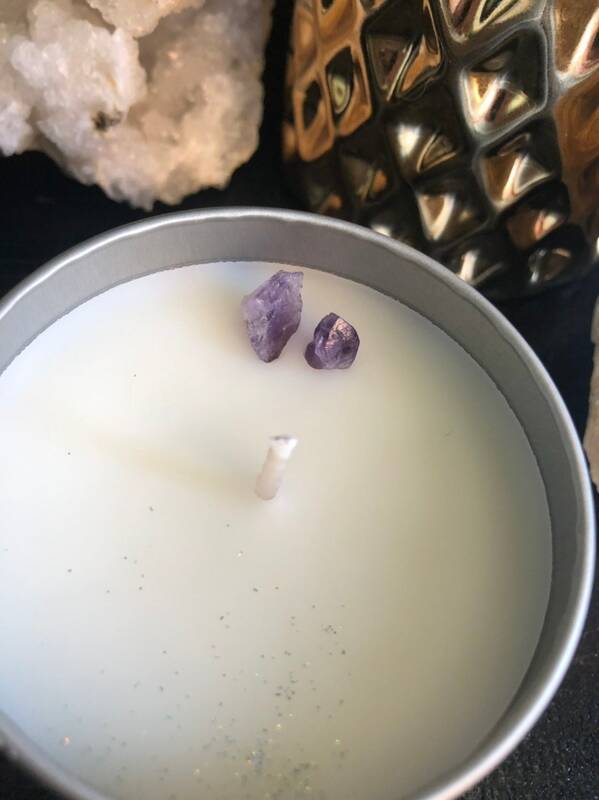 I use Amethyst in my Reiki healing and in my meditation practice.